We were proud to support Billy Bibby & The Wry Smiles in Doncaster on Friday 19th Feb. They were top blokes and played great music. We wish them all the best in their touring and for the future. Thanks to Jimmy Mac and JM Promotions for having us on, we had a blast! I'm so happy with how the 'Love and Luck' music video has been received. I collaborated with Nik Morris again to make this video, alongside photographer Ben Bentley One & Other Creative, who are also based in York. They injected a real verve and pace into the process and i'm really proud of what we achieved. It just goes to show what a small team of really creative, motivated people can achieve. Thanks guys!! 'LOVE AND LUCK' EP LAUNCH!! Ladies and Gents - 'Love and Luck' is ready!! We will be unveiling the new EP on Saturday October 10th 2015 6:30pm, at Lock Lane Sports Centre in Castleford. The band and I are really proud of what we've made, so I hope you'll come along to celebrate its release with us. The band and I have been doing a bit of recording - we can't wait to share the results with you all. Keep checking Facebook.com/jackedwardsband for updates and photos while we're locked away recording! 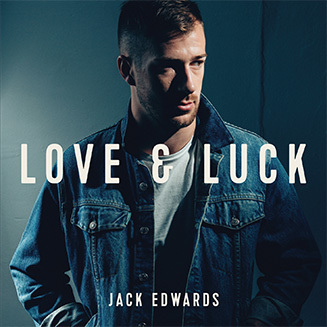 Jack Edwards Band in 2015 - Project #LoveandLuck is underway! The band and I have a great year ahead of us. We are soon to record our next EP 'Love & Luck' and we have a tonne of gigs in the pipeline. Keep an eye on this website and at facebook.com/jackedwardsband for all the latest updates! Our gig with The Dunwells at The Diamond Live Lounge (Doncaster) was a BLAST! It was an honour to play with a band of that calibre and I'm sure we'll join them again at some point. Thanks to Jimmy Mac of JM Promotions, the Diamond Live Lounge team and everyone who came out to the gig to support us. On the 12th December 2014, we'll be supporting The Commitments at The Live Lounge in Doncaster. This is a fantastic venue and we can't wait to play. If you're interested in coming along to this gig please get in touch via the contacts page. It'll be a great evening of live entertainment. If you haven't seen the band perform 'Never Surrender' on the ever popular On't Sofa Youtube channel, go here!. On't Sofa is a company based in Yorkshire that champions all kinds of music, and we are so pleased to feature on their channel. We were so sorry to cancel the gig on 12th June at Hirst's Yard. Jack was suffering with laryngitis and there was no way he could pull off performing the gig. It was a complete last resort, and the gig will be re-arranged - so please check back soon to see the new date! Thanks to the guys at Hirst's Yard, and Jen Armstrong who was going to open the evening for their understanding in this matter. On 30th June, we will release 'Never Surrender', our final single from the Death Defying EP. Here is the artwork created by Kevin Summers at BML Creative in Leeds. We'd like to thank everyone who's supported our EP and single releases, we have a batch of new songs we can't wait to record shape into our next project. We hope you'll continue to enjoy the music. There will be a Never Surrender launch gig at 360 Club in Leeds. Go to our gigs section to find out more. I'm thrilled to be playing the London Folk Festival 2014, in Balham on Sunday June 8th at 2pm. This will be a great opportunity to play in London again and see some other quality acts. If you're down in the capital, please come and watch!! Info on this gig can be found in the 'gigs' section of the site. Our next single 'Haunt Me' will be released on the 28th May, we can't wait to share the single with you - along with a supporting video that will be out in the coming days. Here's the iTunes pre-order link if you want to get in early!! In April 2014, Adam is to marry Jade! They're a wonderful couple and we wish them all the best in their long and happy life together. Ever since the day I met Adam, his constant barrage of sarcasm, wit and ongoing campaign to edge the drum kit ever closer to the front of the stage has been a constant source of amusement. I value his friendship and quality of advice that has always belied his years, and of course, his love for a Sainsbury's meal deal. He'll never be a crab in a bucket. It is an honour to play alongside him in the band, as it is with Pete, Eddie and Bridie and we all couldn't be happier for him. We have very been busy gigging over the last few weeks, playing Manchester, Wakefield, Leeds and London. Jack is an idiot and keeps forgetting to take photos of the event, so you'll have to take our word for it - it's been really enjoyable. There's more to come, so keep checking our gigs section. Here's the video for our brand new single 'Death Defying', released on 24/2/14. We're really proud of the video and hope you enjoy it too!! Thanks to everyone who came to Santiago's in Leeds on 21/2/14 to celebrate the release of our latest single. We had a great time and a great crowd. Big thanks to Rhys Williams for opening up the show. We are about to film a music video for Death Defying. which you will all be able to see very soon. We're teaming up with Nik Morris again, who will produce and direct the video after our success with 'Falling In Love'. We also have the single launch gig to look forward to, booked in for 21st Feb at santiago's Bar in Leeds. The gig starts at 8PM and promises to be a good one. Thanks for your continued support, can't wait to share the video with you. Our music video 'Falling In Love' has made it into the BBC Music Video Festival 2013. The festival celebrates the music video as an art form, and strives to shed light on budding directors, producers and artists in film and music. We are thrilled to be featured in the festival with the likes of Sigur Ros and Roisin Murphy. The festival runs until the end of the year and the featured videos will be shown in cities all around the UK. Rae Tweeddale, Craig Bingham, Courtnay Thompson, Holbeck Underground Ballroom, Robbie Swale, Kate Womersley, Adam Swales, Peter Darling, Bridie May Miller, Gav Stevenson and Gary Chilton. Death Defying EP Launch Night! A HUGE thanks to everyone who came out to Hirst's Yard in Leeds on 24th October to support our EP launch. We had a great time. Visit facebook.com/jackedwardsband to see some images and more info. If you came to the launch and you took any pics, share 'em with us!! 'Death Defying' EP release 21st October! Great news! Jack and the band's first release with The Animal Farm Music Management will be released on the 21st October. The 3 track EP will feature two brand new songs and one you've heard before with a new vibe. We'd like to thank The Animal Farm for their ongoing work on our behalf, and are excited for things to come. In support of the release of this EP, there will be a 'Death Defying' EP launch night on the 24th October at Hirst's Yard in Leeds. More details of this can be found on the gigs page and on facebook.com/jackedwardsband. We hope you can come along and support us on the launch night and at other gigs in the near future. Enjoy the EP, it will be available on itunes and The Orchard, more details will follow. Thanks to everybody who watched and shared the 'Falling In Love' video. We had so many plays on itunes, and great success on The Daily Motion video site in the USA, almost 5000 views!! Producer and Director Nik Morris, the band and I were all thrilled by the response to the video. If you haven't seen it yet, you can find it on the main page of this site, or by visiting: youtube.com/jackedwardsuk. You can also buy the song on itunes from the album "Never Surrender". 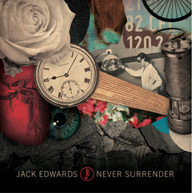 Simply search 'Jack Edwards Never Surrender' in the itunes store. Many thanks to Nik Morris, Craig Bingham, Pete Darling, Kate Womersley, Robbie Swale, Courtnay Thompson, Rae Tweedale, Adam Swales, Gary Chilton, Gav Stevenson and Bridie May Miller...and many more. I've been in talks with this company for a few weeks now, and they are keen to work with the band and I to help us gain more exposure. I'm really happy with the plan Ville and the team from Animal Farm have discussed with me, and can't wait to press on. We'll record some tracks in June at their studio, and there'll be gigs booked in venues around the country. I'm really grateful to my family, friends and everyone who has supported us so far, this is a great opportunity for us when we're still in the early stages of this new venture. So...stick with us, spread the word and watch this space!! Jack Edwards Band has made it to the last 30 of the Crooked Ways 2013 gig competition, where 12 acts will have the chance to play at the festival in Pontefract Park on 1st June 2013. One of these acts will go on to open the main stage at what promises to be an awesome day of live music. To vote for Jack Edwards Band and see us through to the next round of the competition, please visit the Crooked Ways facebook page and look for the band page area, which will go live on Sunday 24th February 2013. Simply listen to our track 'Patch Up My Soul' to cast your vote, and hopefully we'll see you at Crooked Ways 2013!! We are a local band, and would love to play a local festival. Please help us to get there. Unfortunately, the gig at the Coniston in Bradford scheduled for January 18th was postponed due to the bad weather. This gig has been rescheduled for the 8th February. More info on the gigs section of the website. More gigs are in the process of booking and will be confirmed soon. I've seen a rough cut of the video and I'm very excited to share it with you, it's something different, something classy. Nik Morris has done an amazing job. The video will be out soon on youtube etc, and I want you to share it like MAD!!! Never Surrender is now available to hear and purchase on itunes, with other stores such as amazon and spotify to follow soon. 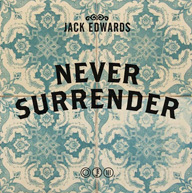 Go on to the itunes store, and simply search 'Jack Edwards Never Surrender'. If you buy the album or a track, let me know what you think, it'd be great to hear from you. You can contact me via the contacts page on the website, or on Facebook. Hope you enjoy the album. Watch this space for information on the first single release for 'Never Surrender'. The video for 'Falling In Love' was filmed at a handful of locations in Yorkshire, and was directed and produced by Nik Morris. We look forward to sharing 'Falling In Love' with you. 'Never Surrender' is almost complete. Mixing and mastering is currently underway, and we can't wait to hear the finished product - and share it with you. I'd like to say a HUGE thanks to Kevin Summers for the artwork for 'Never Surrender', which you can see on the main page of the site. A big thanks to everyone who has contributed to recording the album, with a special mention to producer Gary Chilton, Rob Langley and Tracey French for their patience and faith. The album will be released in November 2012 all being well, and it marks a new era for me and the band. We can't wait to get out and play...starting Friday October 5th at the 360 Club night at the Library Pub in Leeds (8pm start). Listen again to Jack's songs he performed on Alan Raw's BBC Introducing show on the BBC Radio Leeds website. Click on the 'Listen Again' tab and select Alan Raw's show (9th August). 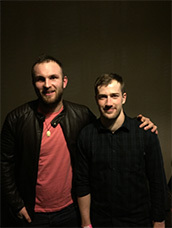 Jack performed three new tracks from the upcoming album 'Never Surrender', supported by his good friend Pete Darling. A big thanks to everyone who tuned in and gave their thoughts on the night. P.s. This show will only be available until Thursday (16th August). I'm currently recording the new album, titled 'Never Surrender' - and things are going great. I'm working with a local producer called Gary Chilton. I'm also working with other musicians and good friends who are helping me record the album. A big thank you to Gavin Stevenson, Pete Darling, Keith Gater, Adam Swales and Bridie May Miller. I can't wait to share the album with you all, we should be done by the end of August. I'm looking to post up some videos and pictures as we progress, so watch this space. Welcome to the updated jackedwardsmusic.com !! There's new photos and a new video for you to see, along with new songs that will be recorded in Summer 2012. A big thank you goes to Rich Clutton for the website updates and to Craig Bingham of Brightlights Photography. Look out for new music videos for 'Everyday' and 'Falling In Love' coming soon, appearing on the JackEdwardsuk youtube channel and on this site. The last few months have been very frustrating for me, with illnesses and various other obstacles. However, I've had time to properly reflect on my next move as an artist. I now feel much much better, and ready enough to move forward. Recording a new collection of songs to release is the first step. A massive thank you to everyone who has supported me along the way in the last few months, I am SO grateful. Hope you like the re-vamped site. Apologies that this site hasn't been updated in a while, I've just been so busy with various things. First of all, I graduated from Leeds College of Music (LCoM) with a BA Honours in Popular Music Studies. The amount of work and time that I put into the last few months of my degree meant that I had little time for anything else. I'm have enjoyed my time studying at the college and wish all of my friends all the best for the future. My sister also got married on September 10th, which also needed a great deal of preparation on my part. Jack Edwards Trio played a couple of sets at the wedding reception, joined by our good friend Matthew Allsop on keys. I'd like to say a massive thank you to all involved in the day, and wish Kate and Chris Ross, the happy couple, all the happiness they deserve. I have a lot of projects on the go right now, which I'll update you on as they develop. ROCKIT MODERN MUSIC SCHOOL...website coming soon! In the summer months of 2011, Jack has joined forces with Adam Swales (drummer Jack Edwards Trio) to create Rockit Modern Music School. The school, based in Castleford (West Yorkshire), welcomes people who wish to have lessons in guitar, drums and vocals. Jack and Adam excited about this new venture, if you wish to contact us about lessons, visit us on facebook. A website for the school is on the way, please keep checking this site for updates. There are some new tracks for you to hear on the website, let me know what you think. Thank you to Dave Kirsfelds for recording and producing these songs, and a big thank you to everyone who contributed and played in recording. The song "Falling In Love" was written by Peter Darling and arranged by myself and Dave Kirsfelds. Director Nik Morris and I are working on a music video for 'Everyday' which will be available to watch on the Jack Edwards youtube channel, which is coming soon. Needless to say, I am very excited about this project and can't wait to broadcast it. On Thursday 3rd February 2011: Jack Edwards went down to Abbey Road to take part in an event held by the BBC Introducing organisation. This part of the BBC is responsible for the exposure and promotion of unsigned acts, and this event was created to help such artists gain insight into the music industry. Jack attended vocal workshops, as well as various interviews with current popular acts The Kaiser Chiefs, Tinchy Stryder, Labrinth and Calvin Harris. It was a great opportunity for networking and meeting people within the industry. Inspired and certainly more informed, Jack is back in the studio with Dave Kirsfelds, writing and recording new music. So keep checking back!!! 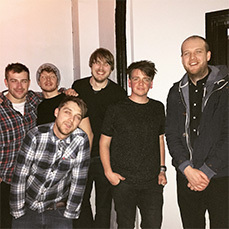 Jack is part of an Events management group at Leeds College of Music, called NORTHERN ROX EVENTS MANAGEMENT GROUP. The group are holding an event on the 7th December, called ALL WRAPPED UP. This live music event will host 3 Leeds based acts: Laura Oakes, Arizona Bay and Groove Anatomy. Tickets for the event are £3 and £4 on the door and all proceeds go to Ronald McDonald House Charity, who provide support for children with serious illnesses and disabilities- and their families. Find the event facebook page by searching 'Northern Rox Events Management' on your facebook homepage. Let's raise some cash!!! Thanks. Hello everyone! 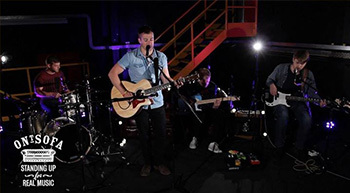 The acoustic version of 'Resolution' has been released on Leeds College of Music album entitled "Music Happens Here". If you wish to support Jack and the other artists featured on the album, you can download tracks on itunes. Simply search 'Music Happens Here' or 'Resolution Jack Edwards' on the itunes store and the tracks should come up. You can also purchase the whole album from the Leeds College of Music website: www.lcm.ac.uk and follow the Music Happens Here links. ... is to be recorded and produced by fellow Leeds College of Music student Dave Kirsfelds, who also features on the Leeds College of Music album "Music Happens Here". (Dave produced The Taste's track: "All You Wanted"). Watch this space for new stuff!! Unfortunately, Jack was not featured in the Pontefract and Castleford Express on the 19th or 26th August, as posted recently. However, apparently the feature concerned with Jack's admission onto the Leeds College of Music album will be placed in a future edition of the paper. Due notification will appear in the latest news section of this site, so watch this space! As promised, new songs from the recent recording sessions are now available to hear on the jackedwardsmusic.com music player. I'd like to say a big thank-you to Adam Swales, Keith Gater, and to studio engineer James Mottershead, who was fantastic! Hope you enjoy the tracks, let me know what you think at the contact page. More music is on the way!! This is confirmation that Jack Edwards Trio will be playing the final of The Voice competition 2010, despite being named incorrectly in the supporting papers and other media (they called us 'Therapy'). Hope you can come support us at The Loft, Xscape in Castleford. Bank holiday Monday (30th August 2010). Show starts at 7pm. Jack Edwards Trio have reached the finals of The Voice competition, to be held at The Loft (Xscape) on 30th August 2010 (bank holiday Monday). We're still waiting on further details for this event, they will be posted on here immediately. If you could come along and support us it would be greatly appreciated. Tracks recorded with Adam Swales and Keith Gater (the Jack Edwards Trio) will be put up on here very soon...KEEP CHECKING BACK. Jack Edwards is due to feature in local newspaper PONTEFRACT & CASTLEFORD EXPRESS this Thursday (19th August 2010), or the following Thursday (26th August). This feature includes information on the appearance on the Leeds College of Music album, due for release in September. Hope you can check the article out. Jack Edwards is to appear live on BBC Introducing West Yorkshire, tomorrow (Thursday 10th June 2010)!!! The show starts at 8pm, and Jack will be playing 3 original tunes for the Raw Talent show on BBC radio Leeds 92.4 FM. Tune in tomorrow night to hear Jack Edwards live!! Jack is playing an acoustic set at Elbow Rooms, Leeds. The gig is on WEDNESDAY 12th MAY, doors open at 8pm (FREE ENTRY). Jack is performing as part of a lineup including two other bands from Leeds College of Music. This should be a great event, don't miss out!! For further info, please email Jack from the contact page. Thanks. Jack Edwards Trio are to play a support slot at renowned music venue Batley Frontier. The gig is expected to be scheduled for mid July (the 18th we believe). Further details will be added as anything is confirmed. Thanks. Jack Edwards Trio are to record their original tracks in June, and will hopefully be available to hear soon after. Watch this space for further details. Thanks. 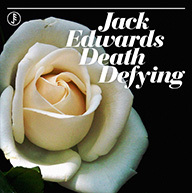 Welcome to the Jack Edwards website, have a browse around the site. Regular news updates will be added, as well as new tracks as they are recorded. March 15th 2010: RESOLUTION is to feature on the Leeds College of Music album, due for release in the summer of 2010. The album should be available for purchase on CD and download formats. More information will be added as I find out. !!! FIRST GIG WITH JACK EDWARDS TRIO !!! : The new band will be performing live for the first time at ESCOBAR on the 24th of April, Wakefield. 8:30 pm start. Hope to see you there.